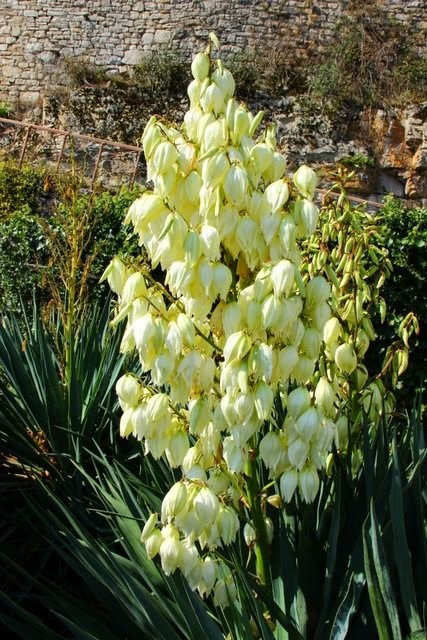 I have three large yucca plants in my back garden. 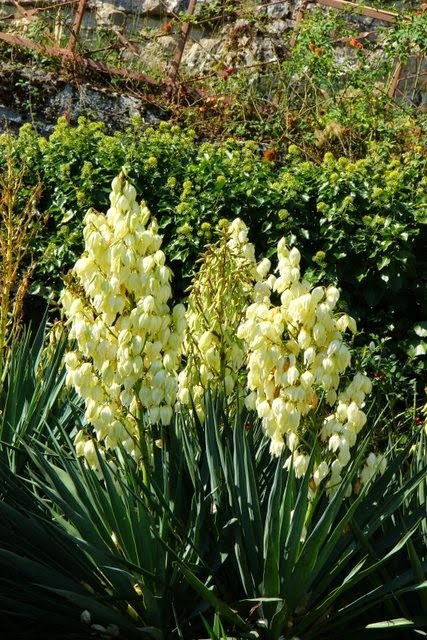 Yuccas are NOT my fav's; I find them rather unfriendly with their pointy and very sharp leaves. In fact, I think they are probably bad feng shui. I rather dislike them for 50 weeks out of the year, but for the two weeks each fall when they are in bloom, they are really quite pretty and I forgive them for all the times they poke my arms when I mow the grass!